We are used to having fast and reliable networks in our companies where many times bandwidth management is not necessary because we have enough bandwidth for our users and services. However, this is not always possible due to the fact that enterprise bandwidth is expensive and budget is limited. As a result, network engineers have to guarantee bandwidth for some services like VoIP, video conference or mission critical services and manage bandwidth properly. Today, there are Software-Defined WAN appliances like IWAN from Cisco or SteelConnect from Riverbed which allow us to have application visibility, WAN and LAN optimization, traffic control, etc to speed up and control our business network. 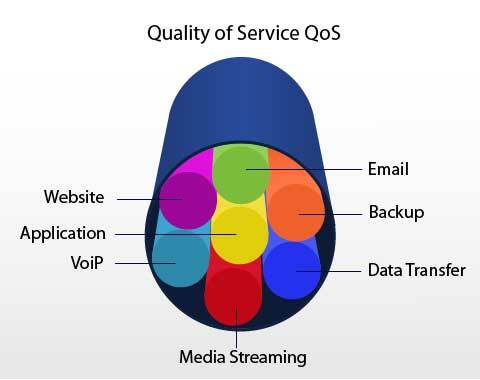 If we want to have a good network performance, we should understand what are the enemies of Quality or Services (QoS). First of all, a lack of bandwidth is the main issue when multiple streams of voice and data traffic is competing for a limited amount of bandwidth. Secondly, there are many kind of delays that we should take into account like fixed delays, that we can't change, variable delays, that we can change with queuing and priorities, and delay variations as jitter. By last, packet loss is something that we have to manage too for dropping and discarding those packets less important. If we want to have a good network performance, we'll have to apply QoS policies and shaping as well. The first step is to identify traffic and its requirements, which can be done with network analyser tools. The second step is to group traffic into classes. For example, voice traffic into a low latency class, or e-commerce and web browsing into a mission-critical class with guaranteed traffic. The last step is to define QoS policies for each traffic class where we'll set a minimum bandwidth guarantee, a maximum bandwidth limit, we'll assign priorities to each class, we'll use QoS technologies, such as advanced queuing, to manage congestion, etc. We have to take into account that traffic management, congestion management and congestion avoidance is not only for WAN link but LAN as well. Therefore, we don't just have to install SD-WAN appliances on the border of our network but, maybe, we should configure QoS inside our LAN too. 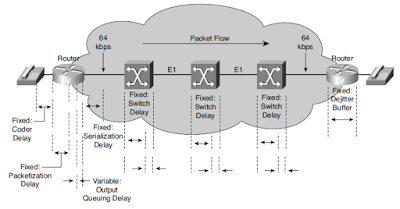 Maybe, we should know about CoS for Ethernet frames and DSCP for IPv4 packets to classify and mark our applications if we want to queue them into a Low Latency Queue (LLQ), Weighted Fair Queue (WFQ) or FIFO queue. It's mandatory to know how many queue the devices have and how to use them. On the other hand, if we have a Metro Ethernet or MAN, or we work for a network service provider, we'll have to guarantee traffic between branches or customers. Then, MPLS with RSVP and RSVP-TE will be mandatory for reservation of resources across the network. Regards my friends, and remember … network traffic management is a must for big networks.